Fall is the start of decorating season here at my house, and the warm colors of autumn make me feel all warm and cozy. 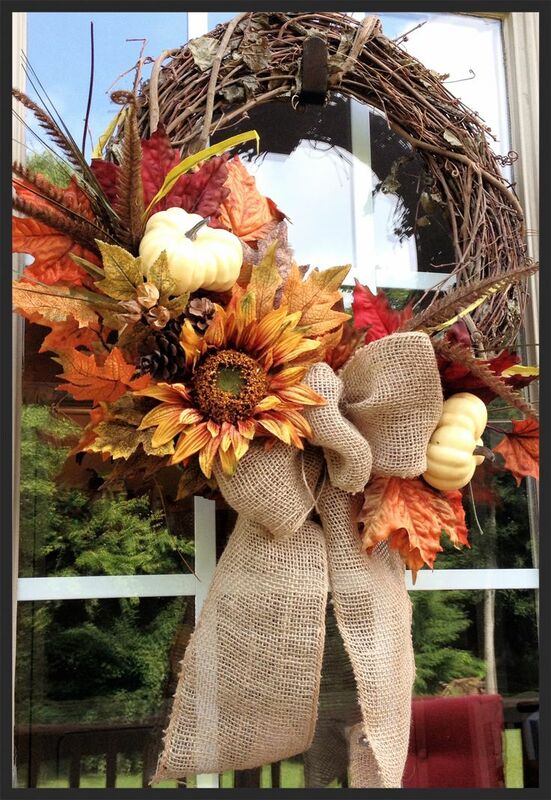 Nothing says cozy quite like a fabulous wreath on one’s front door. Also, is it just me, or have wreaths come a long way in the last few years? The amount of creative ideas are astounding! Here are five of my favorites. This one is available from Old Time Pottery. 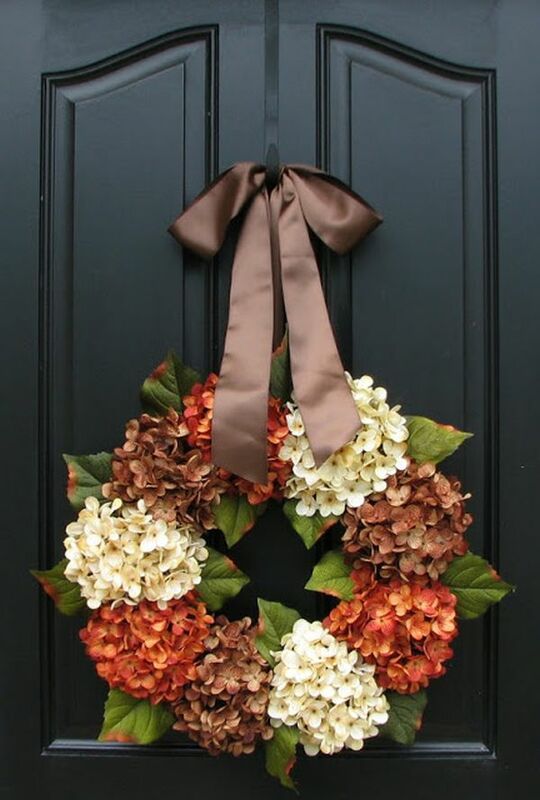 Love this floral wreath idea from Homedit. 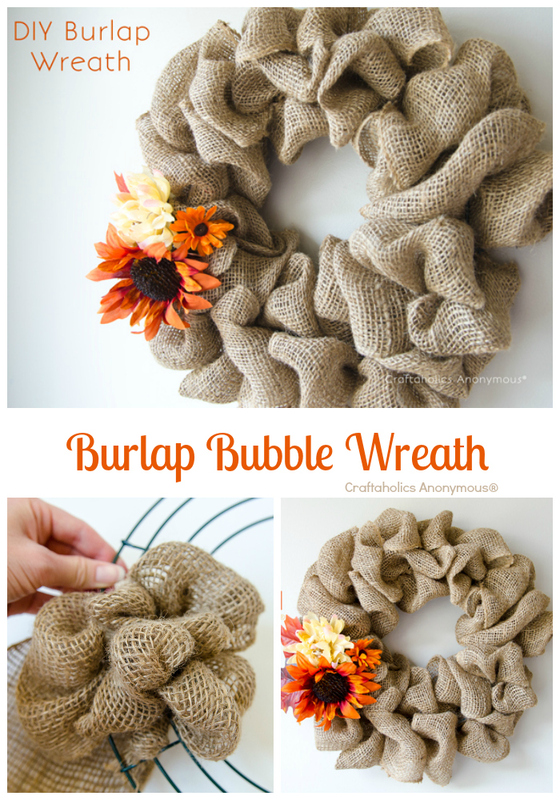 Burlap wreath how-to from Craftaholics Anonymous. The burlap craze continues over at Craftaholics Anonymous! I’ve seen these wire frames at Michael’s and have always wanted to try this technique. I think it would make a fun kid’s craft, too. Wondering what to do with all the acorns and pine cones in your yard? Look no further! Check out this blog post to find step-by-step instructions. 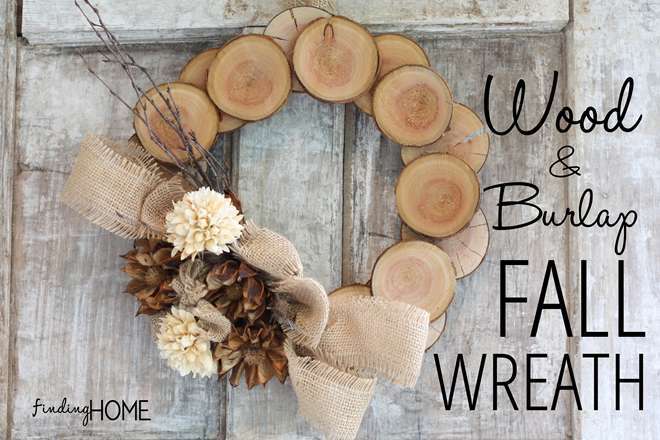 Wood and burlap wreath DIY from Finding Home. More use with natural elements, as can be found at Finding Home’s blog. 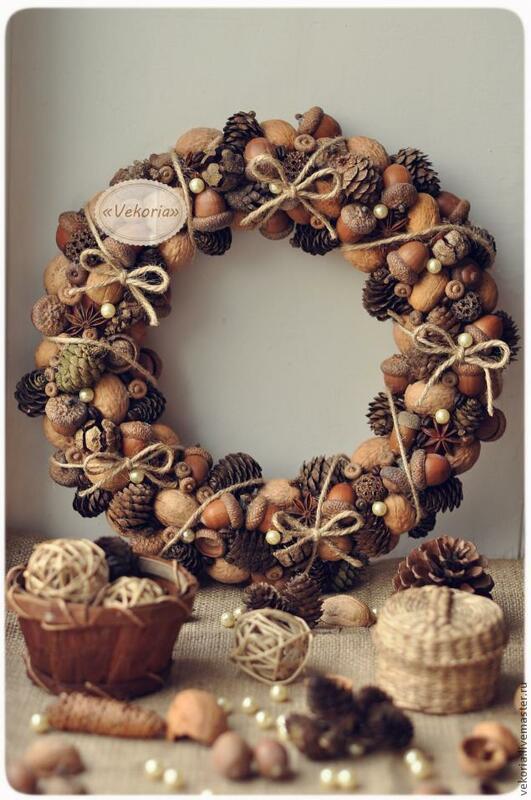 The rustic nature of this wreath is right up my alley! Hope you’ve found some inspiration for your own front door this holiday season. Thanks for stopping by to visit!